Watch your kids get lost in music under never-ending skies. Give your family a whole new view of the world with a trip to Albuquerque. Imagine a vacation where your itinerary is almost written for you, with as many exciting events as there are “Are we there yets?” From ancient dances under the stars to hundreds of hot air balloons peppering the sky and a plethora of unique fairs and festivals, you’re going to need more than a day to fit in all the fun. Start your morning off with breakfast burritos and coffee (and hot chocolate!) at the Downtown Growers Market, and check out fresh local produce and the unique products handmade in New Mexico. 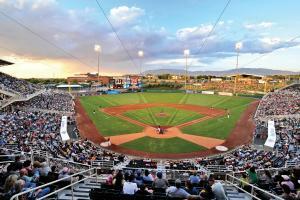 Grab a hot dog and Cracker Jacks and cheer on our local Minor League baseball team, the Isotopes. Head over to Downtown Summerfest to take in local and national live musical acts, sample delicious local fare from food trucks and our award-winning craft breweries, and shop for unique handmade items you won’t find anywhere else. 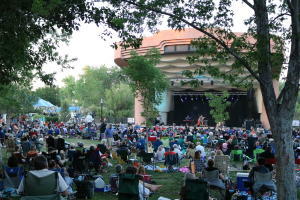 Dance with the animals under the stars with live national acts at the ABQ BioPark for Zoo Music. Tuck your exhausted little ones in their beds at Hotel Albuquerque, then enjoy a glass of wine on the balcony while looking out at the city lights. 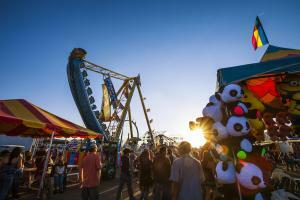 Get an early start to check out all the exciting scents, sounds and sights of the New Mexico State Fair. Pet baby goats, ride the Ferris wheel, try a chile relleno on a stick, and listen to local and national bands. Visit the Indian Pueblo Cultural Center to watch centuries-old traditional dances. Stop at the gift shop for beautiful Native-made art and jewelry, then savor authentic Pueblo-inspired recipes at Pueblo Harvest Café. Stop by the National Hispanic Cultural Center to learn about New Mexico’s Latin American heritages, and enjoy a live performance on their outdoor stage. 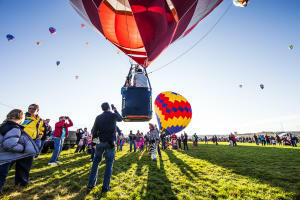 Head to the Albuquerque International Balloon Fiesta presented by Canon for the Special Shape Glowdeo™, where the whole family will marvel at the hundreds of glowing hot air balloons light up the night sky. Stay for a live musical performance, and top off your ultimate family vacation with a fireworks finale.